Vijay’s Theri hit the screens yesterday, the 14th April and his fans have been a jubilant lot. But, they have just not satisfied themselves to watching the film and enjoying their idol’s presence and performance on the screen but have also involved themselves in social activities for a good cause. 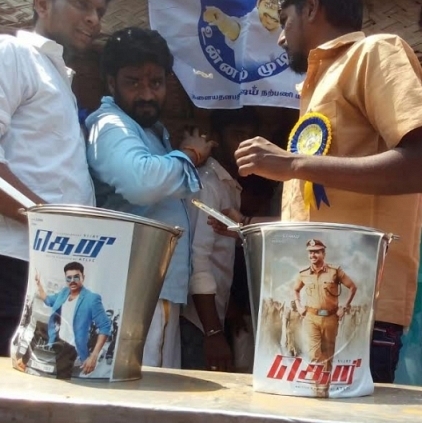 In Sirkali, Vijay’s fan club, called as Makkal Iyakkam Thondar Ani conducted Anna Daanam and other activities coinciding with the release of the film Theri. Well done Fans!